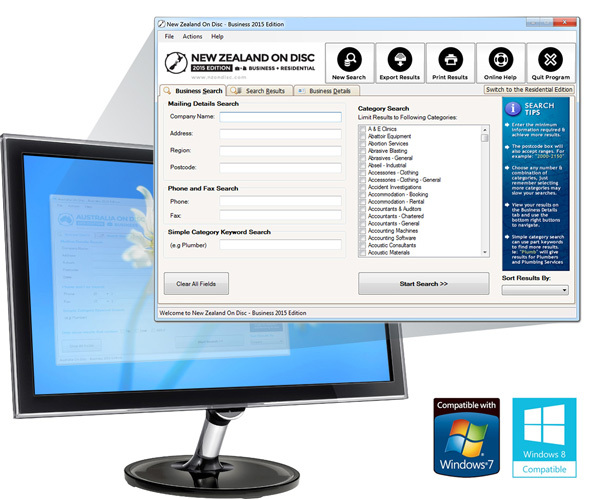 New Zealand- On Disc is a Windows application that allows you to export unlimited lists from our comprehensive New Zealand Business + Residential Database. It’s used by a wide range of professionals: from small businesses to Fortune 500 companies. Even if you only need a few thousand records, NZOD usually works out much cheaper and more flexible than anywhere else. Brand new database. Recently completely updated NZ-wide. Save time: target industries & locations in seconds. The original & the best. Widely regarded as the industry standard. Create Infinite lists any time you like. No time usage limits. All orders within NZ/Australia get Express shipping free. Get the edge over your competitors. Unlock unlimited marketing lists today. All orders in NZ/AU receive Free Express Delivery.